Congressman Beto O’Rourke and Senator Ted Cruz faced off under the Friday Night Lights in Dallas, Texas last night. The first of three debates was live-streamed and re-broadcast on FOX 26 at 8 p.m. in Houston. The Dallas debate was an invitation-only event at Southern Methodist University. The Texas Senate race has attracted national attention. Various political polls show the candidates leading each other, making the Texas U.S. Senate race too close to call for the November 6th election. 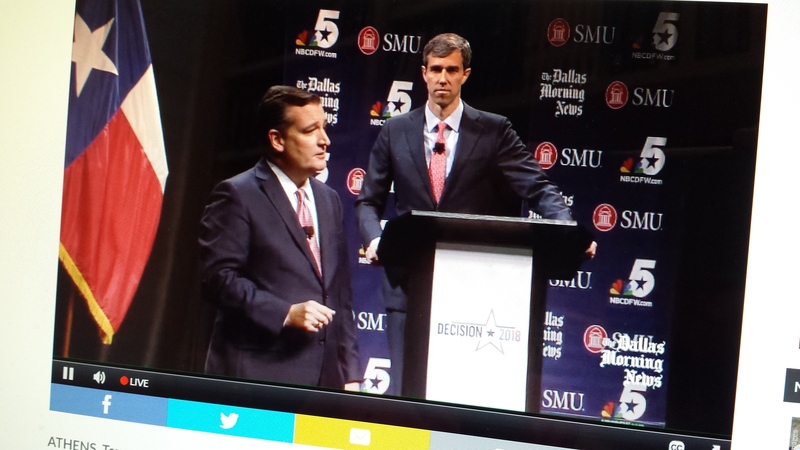 During their first debate, Beto and Cruz clashed on issues including immigration, the NFL players protests, legalizing narcotics, gun control, the Santa Fe High School shootings, the Affordable Health Care Act, their attendance records in Congress and the Senate and who stood up and did more for Texas and Texans. Here’s their exchange on immigration. Beto said prayers and thoughts are not enough for school safety. Cruz said he believes in prayer and acted to get more armed officers into schools. When the candidates were asked what they admire in their opponent, Beto and Cruz acknowledged both had wives and children missing them and the family sacrifices while on the campaign trail. For more on the first debate, click on this article in the El Paso Times. Congressman O’Rourke, a Democrat, has represented El Paso since 2013 and co-founded Stanton Street Technology, an internet sites and software company. Cruz, an attorney, was raised in Houston. Cruz, the junior senator, has served in the U.S. Senate since 2013 and is seeking re-election. The next 2 debates will be one hour long on (rescheduled date to be announced) in Houston and October 16th in San Antonio, Texas. 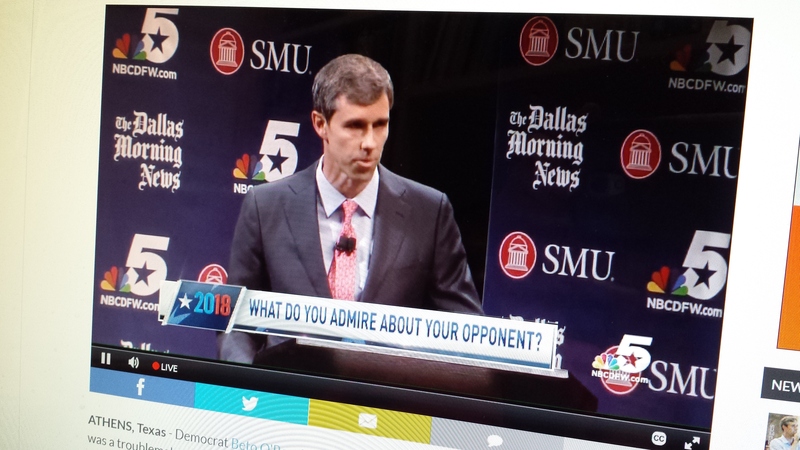 This entry was posted in Elections and Politics and tagged Beto and Cruz Dallas Debate, Beto and Cruz Senate Debate in Dallas, Senate Debate in Dallas. Bookmark the permalink.